In the competition and level series of Flip Mino and Mino HD camcorders, Mag Pix is another camcorder which gives a good race in the field. It comes with a 5-megapixel camera for video recording. 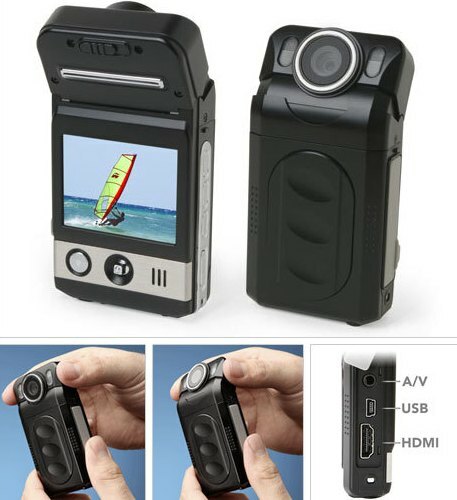 Its Mag Pix 1080p mini camcorder. It has a capability to record long videos at full 1080p resolution. And the design of the camcorder is simple, small and very much portable. Can slide easily into a pocket and comes handy anywhere to capture videos. The Mag Pix 1080p mini camcorder is available for a price range of $140 and is a perfect camcorder for any easy camera needs.